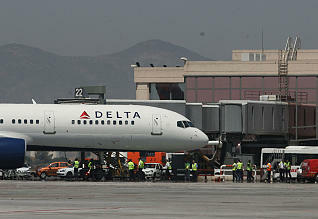 Delta Air Lines and Air France KLM will resume next Thursday, June 2, the direct flight between Malaga airport and New York with a total of six flights a week, one more than the previous year. The last flight was on October 30 after five months in operation, and during the summer the average occupancy rate has exceeded 60 percent. In the winter season passengers flew in the U.S. in the company’s services but not directly but via Madrid and Barcelona which work all year round. The flights between Malaga city and the U.S. began in June 2008. 60 percent of passengers on this flight are from the United States. Malaga is one of four cities in the Spanish network of Delta Air Lines, along with Madrid, Barcelona and Valencia.